Did this ring a bell to you? 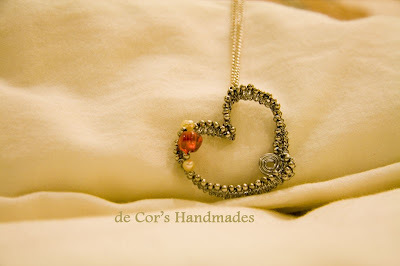 This pendant was created for a dear friend's special's one. And I wrote a tutorial for this technique, I called it Skylark knotting. If you have sharp eyes, you should knew it by now that Perri had a tutorial that uses the same knotting, she called it Mobius Strip, just hers was in heavier gauge of wires.